Say hello to the smallest resistance band of the pack - The mini green band, or the notorious “booty band” as the fitness world like to refer to them. It can be used for strengthening and ensuring you are using the correct muscles during an exercise. It can also target a variety of different muscles and joints in the body. For this blog our focus will be on its ability to get those glorious glutes firing during exercise! So why are our glutes so important? Having strong glutes is important for so many things! Not just the fact it looks good. They are the largest muscle group in our body and therefore should be one of the strongest. There are 3 muscles that make up the gluteal group - The Gluteus Maximus, Gluteus Medius and Gluteus Minimus. These 3 muscles work together to help stabilise your pelvis, propel you forward during walking/running and move your hip and thigh in different directions. AMAZING right?! 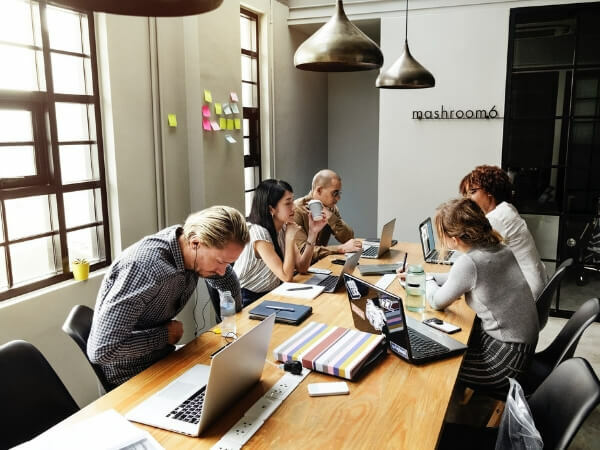 The problem today is that a lot of people work at desks and in front of computers, meaning they sit down for the majority of the day leading to glute weakness and the hip flexors becoming tight. If we have weak glutes, we put ourselves at greater risk of injury and pain as other muscles have to try and take over to help do their job. Examples of this include lower back pain and knee pain. When our glutes are unable to do the work, our back starts to over activate and take the load, leading to pain. This is the same with our knee. If our glutes aren’t working to stabilise the pelvis our knee has to work harder and hence can cause issues. All is well though, sitting at a desk for work doesn't mean you have to have weak glutes. Keeping active and exercising is just one of the things you can do that will help you gain the strength to prevent any issues! How can you use the mini band to make sure your glutes are firing? 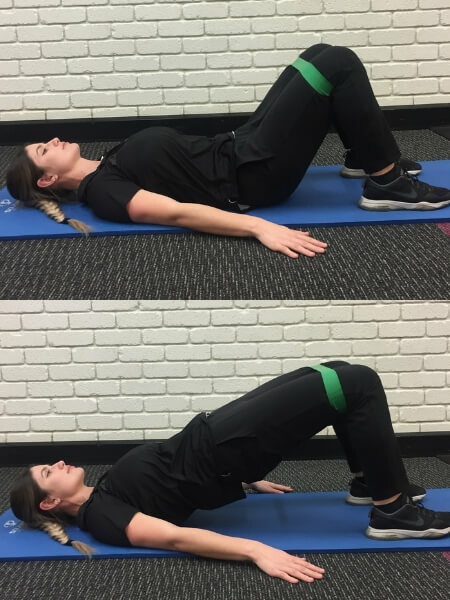 If you have a think about what exercises you would normally do to help strengthen your glutes such as a squat, a hip thruster or a bridge, all you have to do now is add the band above or below your knees during these exercises. The band assists in activating the correct muscles rather than compensating with others. Mention “HIPS & GLUTES SPECIAL” at time of booking. Physio rebates may apply. 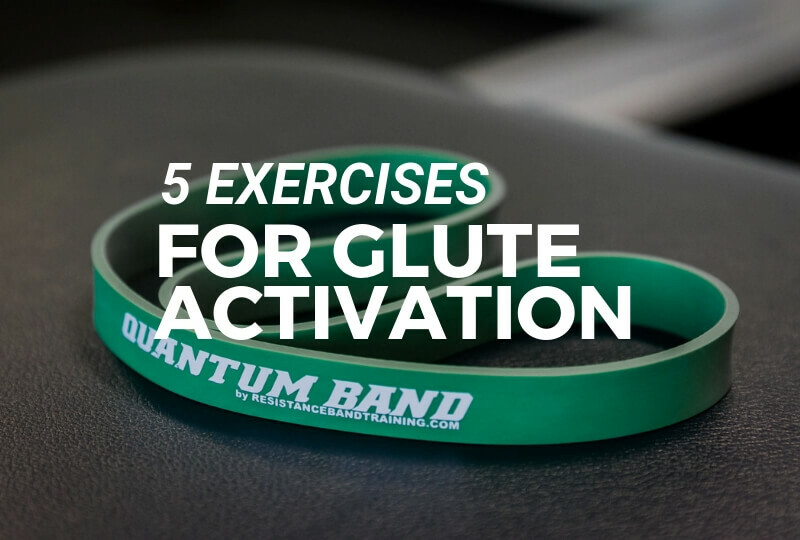 Here is a step by step guide to 5 exercises that will help you build stronger glutes! If these exercises are too easy for you, you can always add weight to them for better results. When the glutes are weak it can lead to the knees collapsing in during a squat. Add the band above or below your knees and keep resistance on. This will ensure your glutes are switched on during the squat. When doing a bridge you can focus the work on your glutes by putting the band just above or below your knees. If this is too easy, adding a weight will help. Lie on you back, put the band just above or below your knees. Bring your feet towards your bottom with your arms out to the side. Return to initial position and repeat. Donkey kicks are a great way to get your glutes activating. 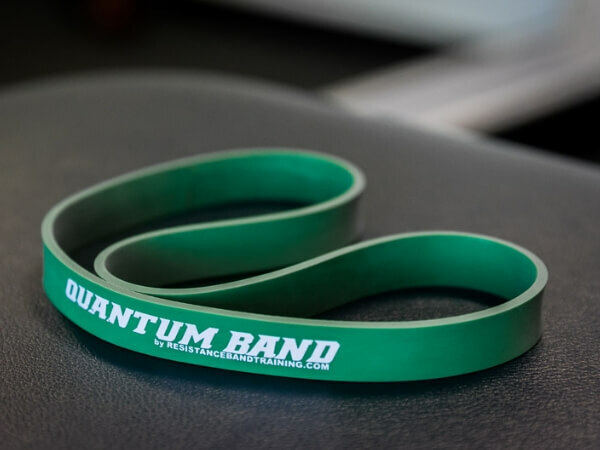 A band adds resistance and gives you a more desired outcome. The mini band should be around your knees. Bring leg down to original position. The crab walk is an excellent way to get both glute max and medius working. Make sure the band is taught throughout the whole sequence!! Band above or below the knees. Step your legs out so they are slightly wider than shoulder width apart. Make sure the band is taut! Bend down into a small squat with feet pointed slightly out. Take mini steps to the side keeping the band taut. Clam shells may look quite easy but bring a band into them and they can really get your glutes firing. Lie on your side with your knees at 90 degrees and your hips slightly bent. 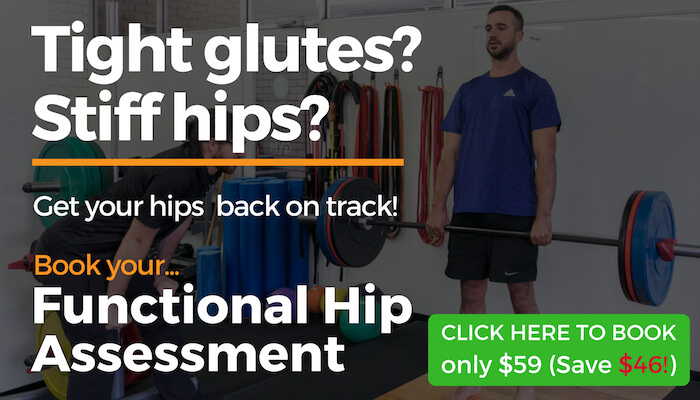 I hope these exercises have given you a bit more of an insight into the world of glute activation and that they help you towards that perkier peach! If you are interested in trying out or purchasing a green mini band, speak to our friendly Front of House staff and they can lead you in the right direction!